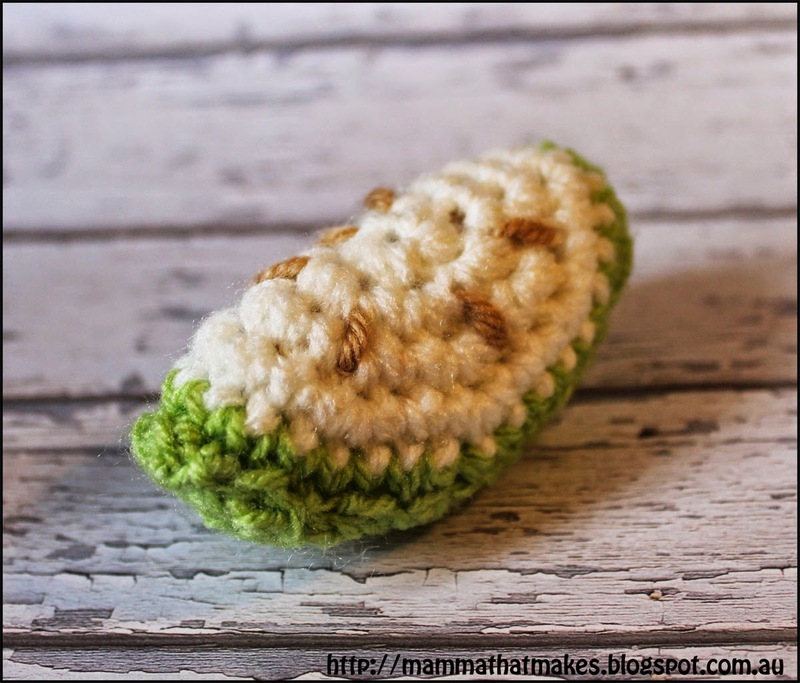 Today's free pattern is super yummy! 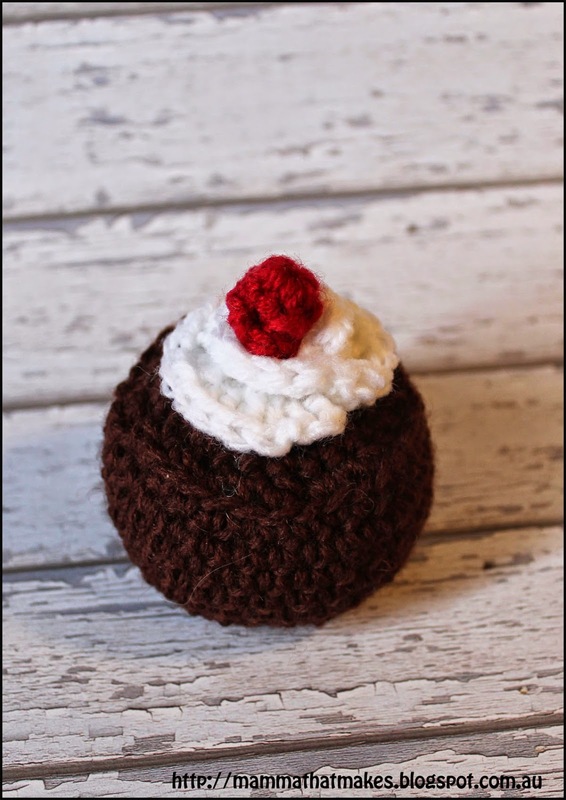 A mini chocolate cake with cream and a cherry on top! 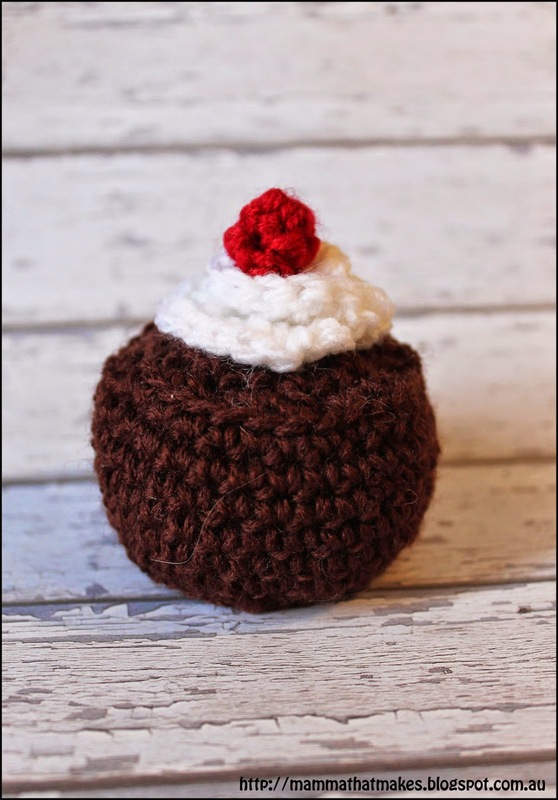 Super sweet to make, and oh so cute! You could use all sorts of flavours (colours) with this pattern! Mix it up! 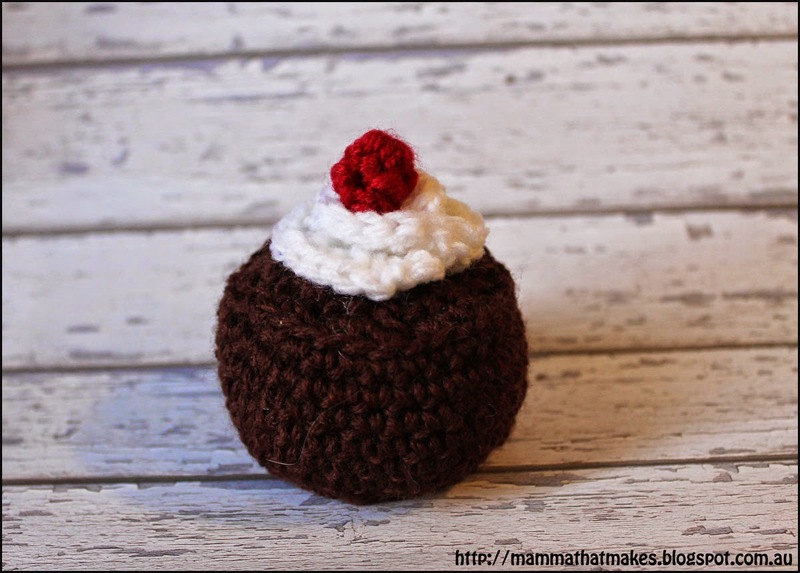 chocolate, white and red yarns. I used dk weight, but worsted would also work, it will be slightly larger. 15: sc2tg twice, then end off leaving a tail for sewing. 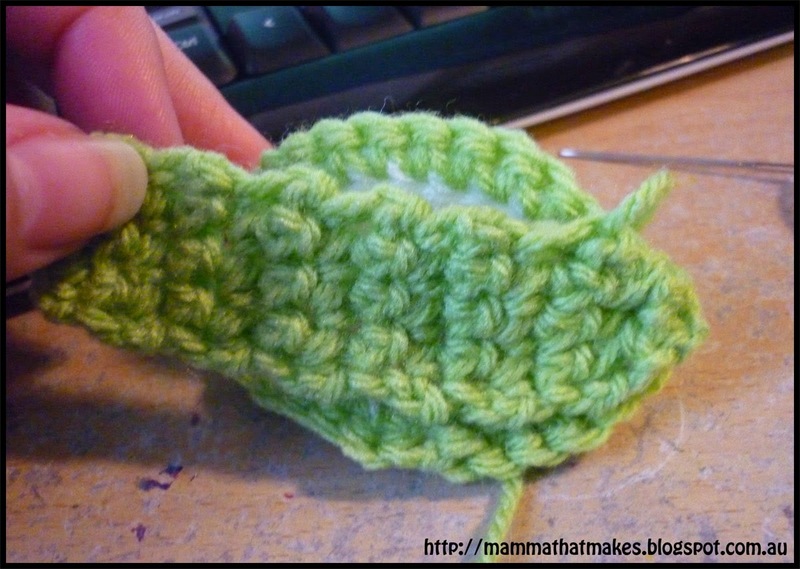 Using the tail, gather the stitches around the opening and pull tight to close. 1: ch12, dc 3 times in the second chain from hook, dc 3 times in each remaining chain. End off leaving a long tail. Sew cream to top of cake. End off and leave a long tail. 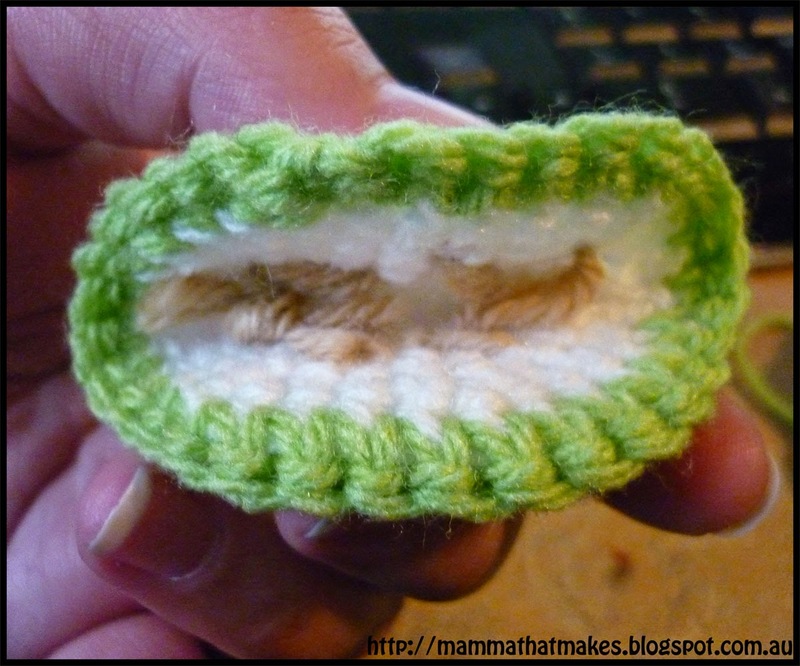 Gather the stitches around the opening and pull tight to close, then sew on top of the cream. Good morning lovelies! Today's pattern is for a slice of apple! Yum yum! Another in the play food series. This apple wedge is simple to make, and is a change from the standard whole apples. Quick and easy too, which you all know I love! sl st once then end cream. End green and weave in all ends. Fold the circle in half so you know where the middle will be and stitch on pips. End off leaving long tail. 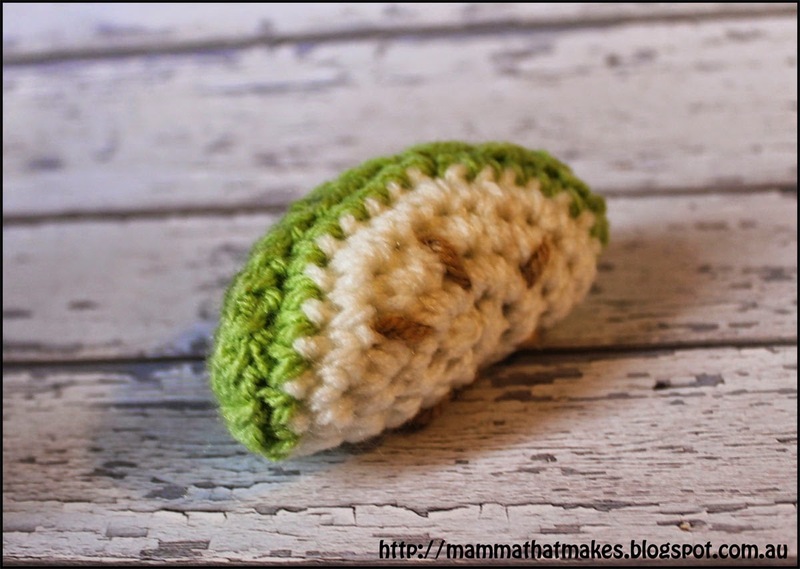 Sew the skin onto the apple wedge, stuffing as you go.